Home > Mortgages > Can I Get a Seller to Pay My Closing Costs? Can I Get a Seller to Pay My Closing Costs? Will Home Prices Jump 9% in a Year? Will Higher Student Loan Rates Hurt the Housing Market? Closing costs are one of the most confusing and misunderstood parts of the homebuying journey. About a third of prospective buyers feel “not very” or “not at all” aware of them, according to a recent survey from real estate data and technology firm ClosingCorp. That can be a problem for buyers who jump into the homebuying process without budgeting for these costs and fees, which can total 2% to 5% of the purchase price or more. The good news is you may not have to spend a dime. 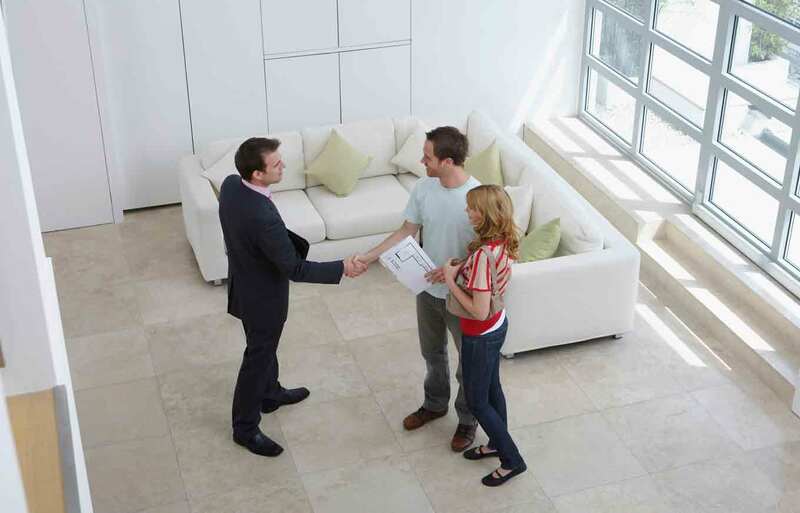 You can ask the home’s seller to cover some or all of your closing costs. Every transaction is different, and so much depends on the market you’re in, the type of financing you’re using and the specific property (and its owner). But if you’re looking to pay less out of pocket, here are a few things you need to know about getting a seller to pay your closing costs. Before you write an offer on a home, talk with your real estate agent and your loan officer about how best to tackle closing costs given your unique situation. FHA, USDA, VA and conventional mortgages allow sellers to contribute toward your closing costs, but there are different caps and rules with each. When it comes to closing costs for FHA and USDA loans, sellers can contribute up to 6% of the sale price toward closing costs, prepaid expenses, discount points and more. You can’t put this money toward a down payment (though USDA loans do not require one). VA loans allow the seller to pay all of the buyer’s mortgage-related closing costs and up to 4% of the purchase price in concessions, which can cover things like prepaid taxes and insurance and even paying off collections, judgments or leases at closing. Conventional loans are slightly more restrictive. Buyers with a loan-to-value ratio above 90% can ask a seller to pay 3% of the purchase price. If the loan-to-value-ratio is between 75% and 90%, sellers can pay up to 6%. Buyers with a loan-to-value ratio less than 75% can ask sellers to contribute up to 9%. Asking the sellers to pay your closing costs may seem like a no-lose situation. But some markets and buying situations may be better suited to this than others. Talk to your real estate agent to be sure you understand the market you’re in and the current buying and selling conditions. Asking sellers to pay your closing costs in a hotter real estate market may lead to your offer losing traction. If the seller is dealing with multiple offers, asking for help with closing costs could push your offer to the bottom — or straight into the trash can. If the sellers aren’t keen on the idea of paying your closing costs, or if asking might jeopardize your offer, you have a few options to consider. One is to use verified gift funds from family or friends. This needs to be paper-trailed and a true gift with no expectation of repayment. Rules for how you can use gift funds can vary by lender and loan type. You’ll usually need to furnish a letter detailing the gift amount, the relationship and other key information. You can also ask your lender to pay your closing costs. To make that happen, you’ll typically have to take a higher interest rate, which costs you more over the life of the loan. That may not be a big deal if you’re planning to stay in the home for just a few years. But that higher rate means you’ll pay those closing costs many times over if you’re staying in the home for the long haul (barring a refinance, of course). In the end, you’ll need to weigh the potential costs and benefits of asking your seller to pay your closing costs. Take a realistic look at your budget and finances, too. Talk with your real estate agent and lender to determine the best option for you. A former journalist and author of “The Book on VA Loans: An Essential Guide to Maximizing Your Home Loan Benefits,” Chris Birk is also content development director for Veterans United.